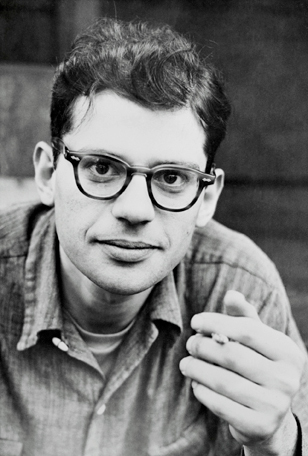 Ginsberg, Allen (3 June 1926-6 Apr. 1997), poet, was born in Newark, New Jersey, the younger son of Louis Ginsberg, a high school English teacher and poet, and Naomi Levy Ginsberg. Ginsberg grew up with his older brother Eugene in a household shadowed by his mother’s mental illness; she suffered from recurrent epileptic seizures and paranoia. An active member of the Communist Party-USA, Naomi Ginsberg took her sons to meetings of the radical left dedicated to the cause of international Communism during the Great Depression of the 1930s. her death at Pilgrim State Hospital in 1956. Witnessing his mother’s mental illness had a traumatic effect on Ginsberg, who wrote poetry about her unstable condition for the rest of his life. Graduating from Newark’s East Side High School in 1943, Ginsberg later recalled that his most memorable school day was the afternoon his English teacher Frances Durbin read aloud from Walt Whitman’s “Song of Myself” in a voice “so enthusiastic and joyous . . . so confident and lifted with laughter” that he never forgot the image of “her black-dressed bulk seated squat behind an English class desk, her embroidered collar, her voice powerful and high” (quoted in Schumacher, p. 17). Despite his passionate response to Whitman’s poetry, Ginsberg listed government or legal work as his choice of future occupation in the high school yearbook. Born on May 3, 1803, in Boston, Waldo, as he preferred to be called, received a classical education at Boston Latin School and at Harvard College. Following in his father’s footsteps, Emerson was ordained a Unitarian minister in 1829, but he experienced a religious crisis after the death from tuberculosis of his first wife, the beautiful and romantic Ellen Tucker, to whom he had been married only eighteen months. Resigning from the Second Church and journeying to England in 1832, he became friends with Carlyle, Coleridge, and Wordsworth, and began to formulate his Transcendental faith. Gathering around him a circle of poets, reformers, artists, and thinkers who helped define a new national identity for American art–among them, Henry David Thoreau, Nathaniel Hawthorne, Margaret Fuller, the Peabody sisters, the Alcott family, Jonas Very, the Ripleys and the Channings– Emerson expounded his views on the mystical harmonies of man and nature, the essential perfectibility of the human spirit, the unity of the human soul with the divine Over-Soul, and the values of non-conformity, intellectual and spiritual independence, self-reliance, and utopian friendship. 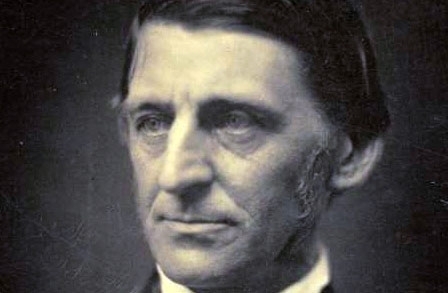 A committed Abolitionist, a champion of the hounded Native Americans, a tireless crusader for peace and social justice, a supporter of educational reform, as well as a selfless champion of other creative geniuses around him–(his letter endorsing Whitman’s LEAVES OF GRASS hailed the younger poet as “the most extraordinary piece of wit and wisdom that America has yet contributed”), Emerson’s writings combine passion with a purity of prose. Aunt Mary Moody Emerson, his father’s unmarried sister, was the dominant influence of Emerson’s childhood and youth. Without formal education, she was possessed of a richly fertile mind. She read widely and knew well the thinkers of the day. A moderate “Channing Unitarian,” steeped in the piety of New England and the history of its churches and theology, she taught Waldo many of the aphorisms he in turn taught his own children: “Lift your aims.” “Always do what you are afraid to do.” “Despise trifles.” “Turn up your nose at glory, honor and money.” And “Oh, blessed, blessed poverty.” She first introduced Emerson to Hindu scriptures and Neoplatonism. She anticipated, especially in her openness to natural religion, the Transcendentalist sensibility. Emerson’s distinctive views first began to emerge in his letters to “Tnamurya,” an anagram of “Aunt Mary,” during the 1820s.